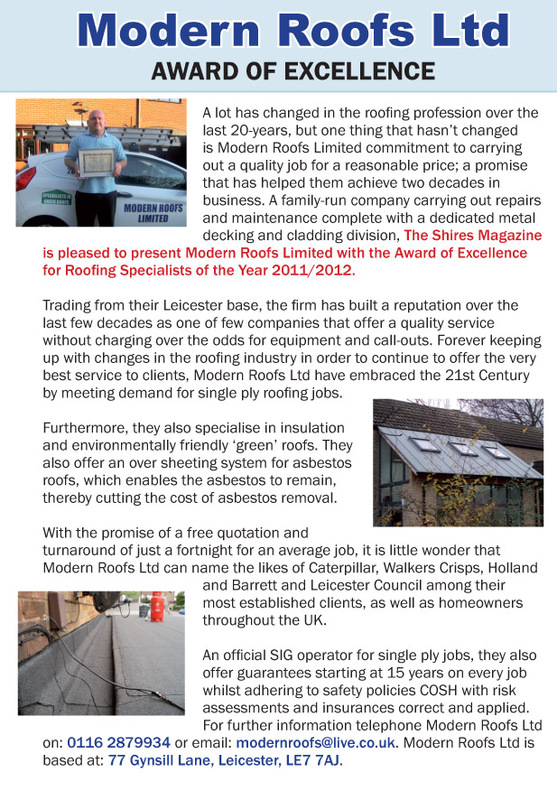 Modern Roofs Ltd have a metal decking and cladding division. 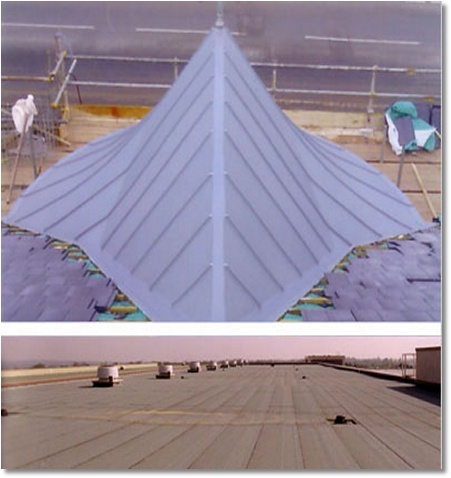 We also offer an over sheeting system for asbestos roofs, which enables the asbestos to remain, there by cutting the cost of asbestos removal. We are also licensed contractors for FIRESTONE PRODUCTS also SIG design and technology and Eds & Italiana Membrane to name a few. We provide a 15 - 20 year insurance backed guarantee on works which includes an insolvency cover. As a Council approved contractor, and Insurance aproved contractor. Our client base includes many household named companies both large and small. Major and minor construction firms, various council organisations. We also offer our services to domestic dwellings which are treated with the same consideration and attention to detail as our larger contracts. Domestic Works - Leicestershire and Midlands. Risk assesments insurances are all correct and adhered to. We offer a repair and maintenance service for commercial & industrial properties.